Diamond Platnumz problems have come out in droves. Hours after Hamisa Mobetto's approach paid off, another woman, this time from Burundi has come up claiming Platnumz is the father of her girl twins. Jesca Honey, 24, Miss Burundi 2012 says since 2013, the singer has not given her a penny for the beautiful two girls. If she wins like Hamisa did, Diamond Platnumz will be a proud dad of 8, Zari's 5, Hamisa's 1 and now, the two twins. Honey Jesca from Bujumbura Burundi [Also has a light complexion] aged 24, claims she is all set to fly to Tanzania. She is ready for a DNA test and all she is demanding for is the singer to show the little girls some fatherly love. "People are talking about things they don't know about, but these are my children's rights and as for you Diamond, you have only 2days to present the truth or I will leak the videos and photos of you and me in bed plus the hotels where we slept," Jesca added. 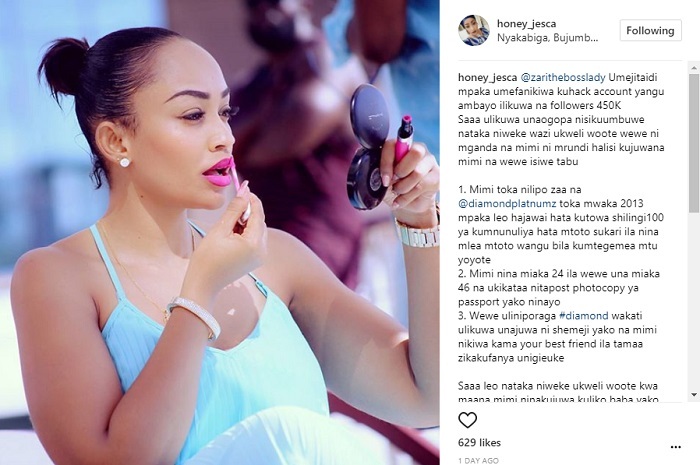 Using a new Instagram account which has just been created following the Hamisa Mobetto win, Jesca claims Zari is behind the hacking of her IG account that had over 450k followers. Jesca says that Diamond Platnumz mom is aware of these facts, but they have totally ignored her pleas. She claims from the time Zari started dating Platnumz, his love for the twins dropped and he's never been there for them since then. Today is Zari's birthday and that is what seems to be of concern to them and not Jesca, though when she leaks the pics and videos as she is claiming, the singer will be forced to address this matter as to whether this is one of those cases we should just ignore or another Hamisa case in the making. 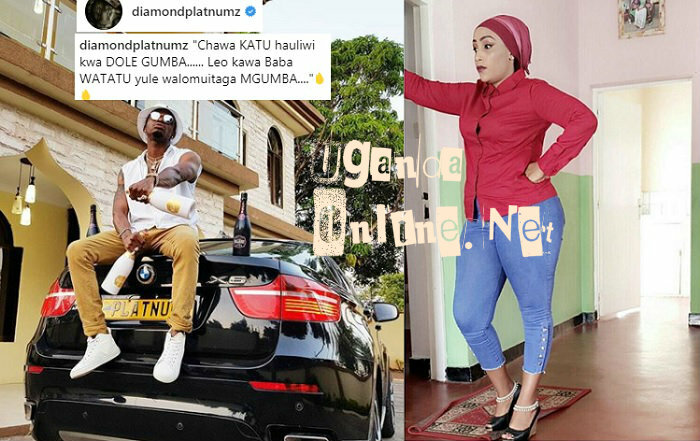 In one of the comments from Diamond Platnumz relating to these mamas, the singer notes; "Chawa Katu hauliwi kwa dole Gumba...Leo kawa baba Watatu yule walomuitaga MGUMBA..."
In that statement, he seems to be hitting at his ex-girlfriend, Wema Sepetu, who has failed to give birth following various attempts. Wema and Hamisa Mobetto are very close friends.